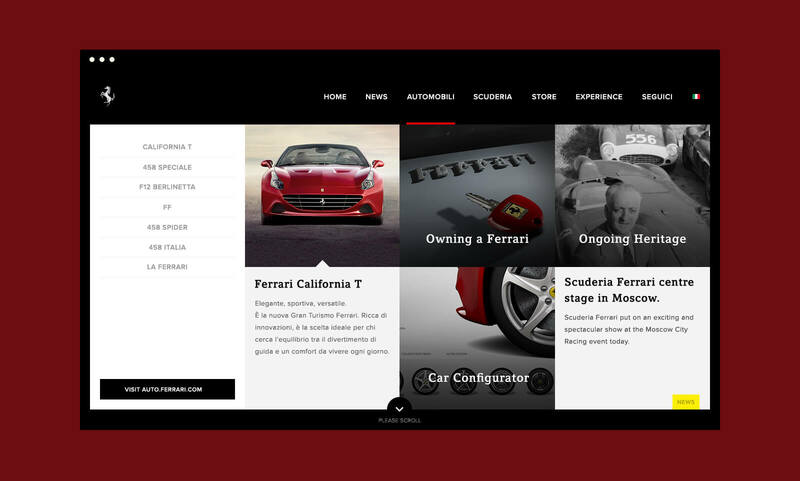 Ferrari.com is the digital hub of the Ferrari world. 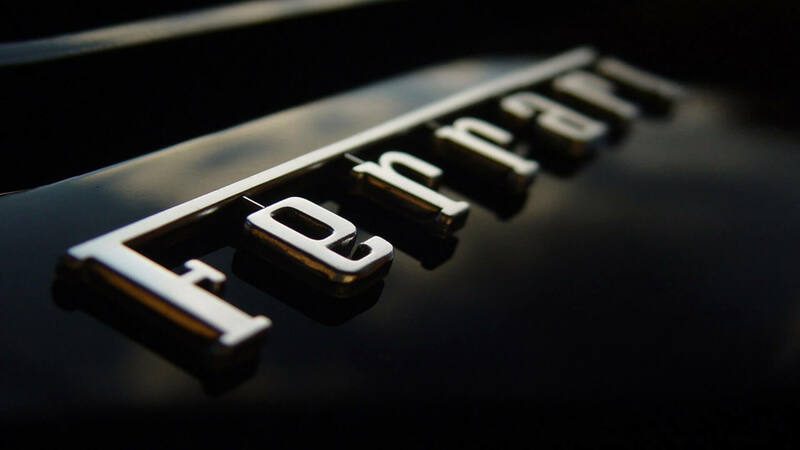 For Maranello's company we created an entry point to all the different souls of the Ferrari world. 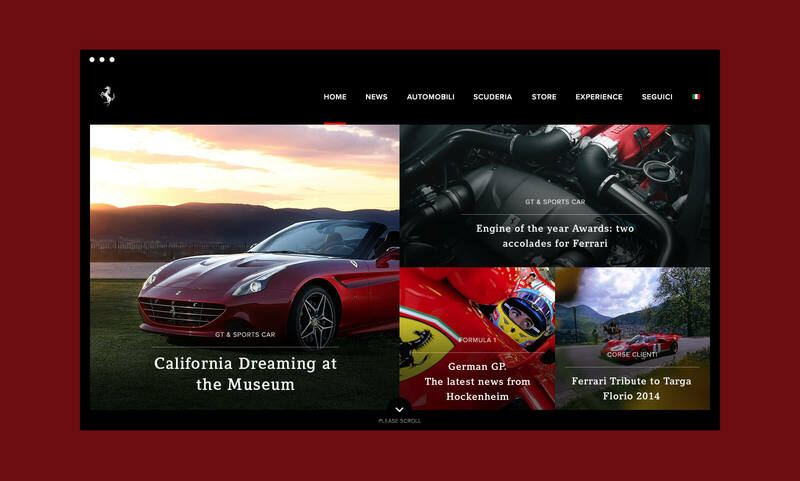 The homepage collects highlights from all the Ferrari websites and presents content ranging from motorsport and road cars info and tech, to corporate events, news, special projects and social networks. 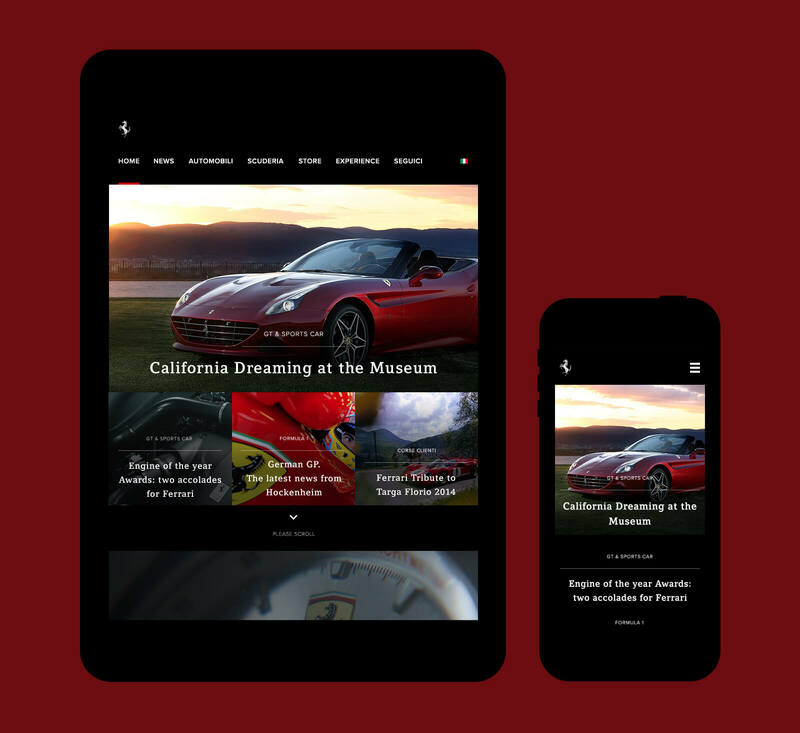 Ferrari home is one of the first steps in redefining the digital presence of one of the most successful Italian brands.